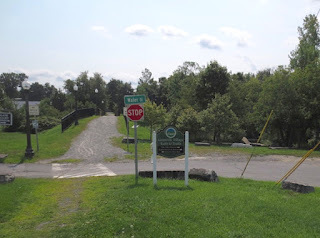 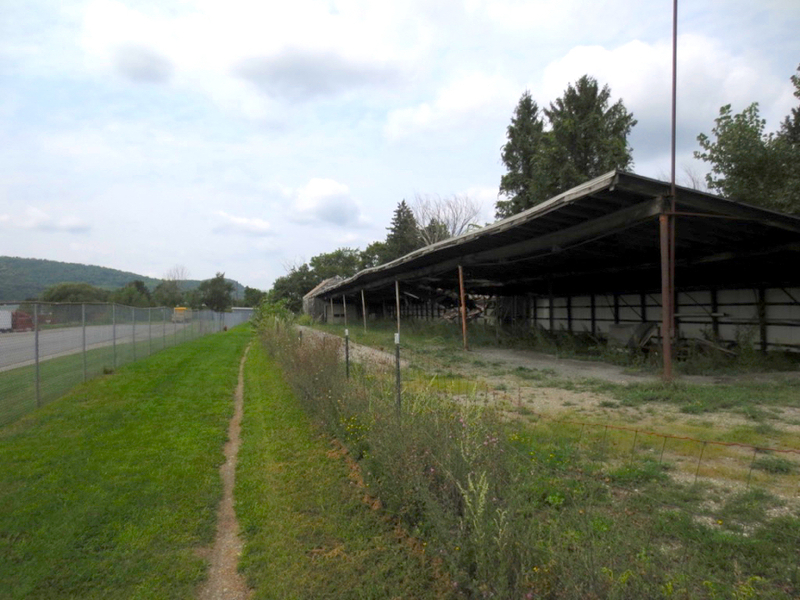 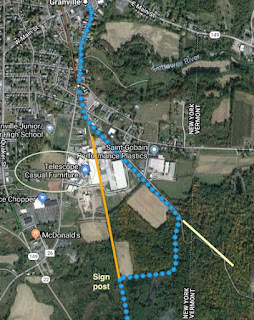 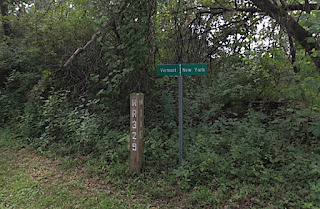 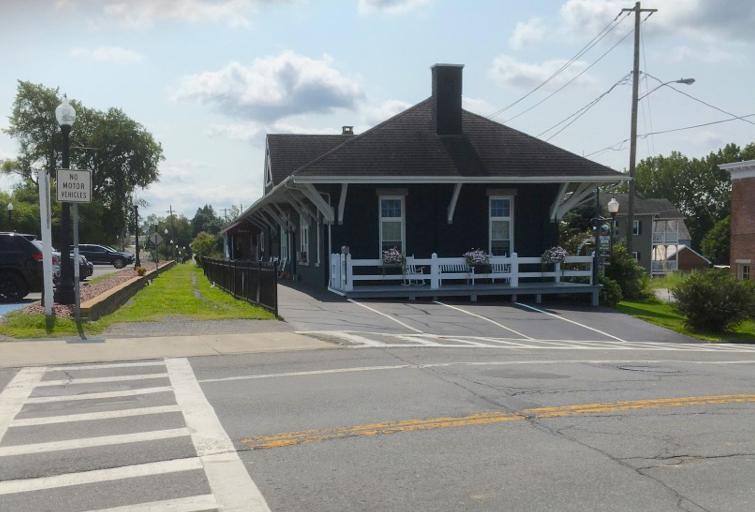 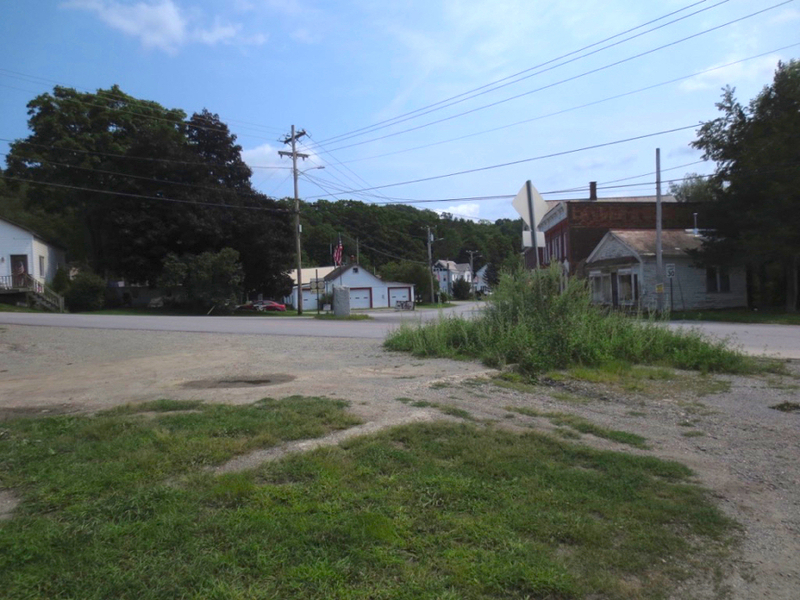 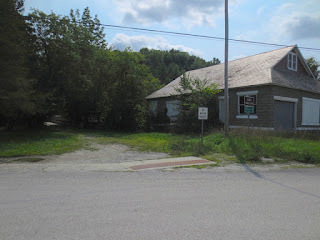 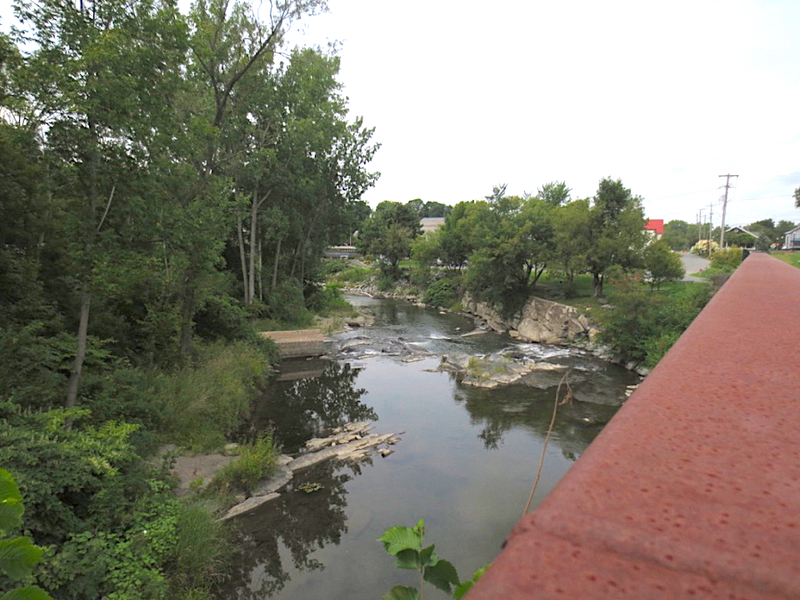 On Monday--on my way from Stowe, VT to Scotia, NY--I decided veer to Granville NY and ride the Rail Trail on my road bike. 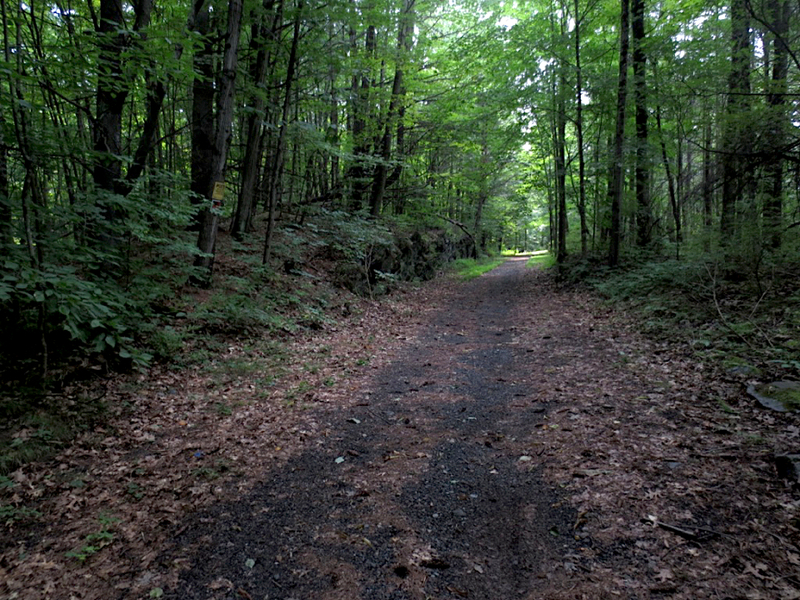 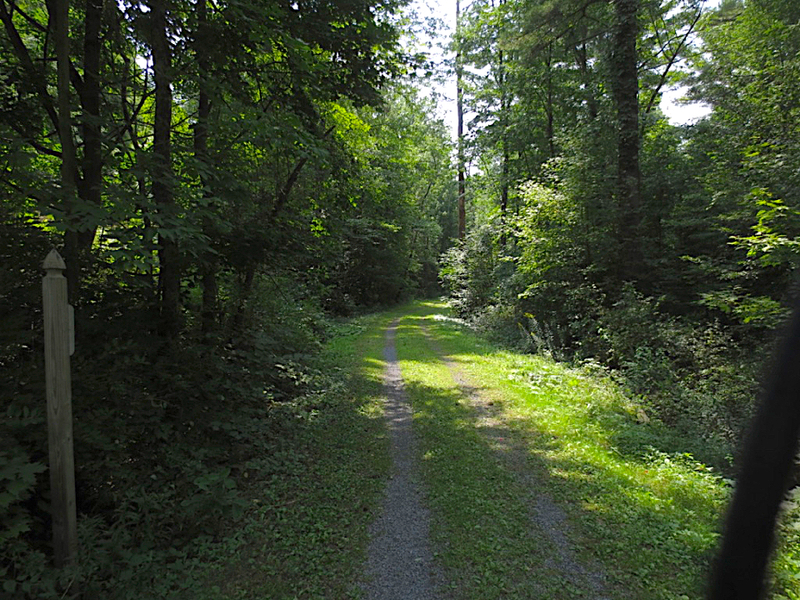 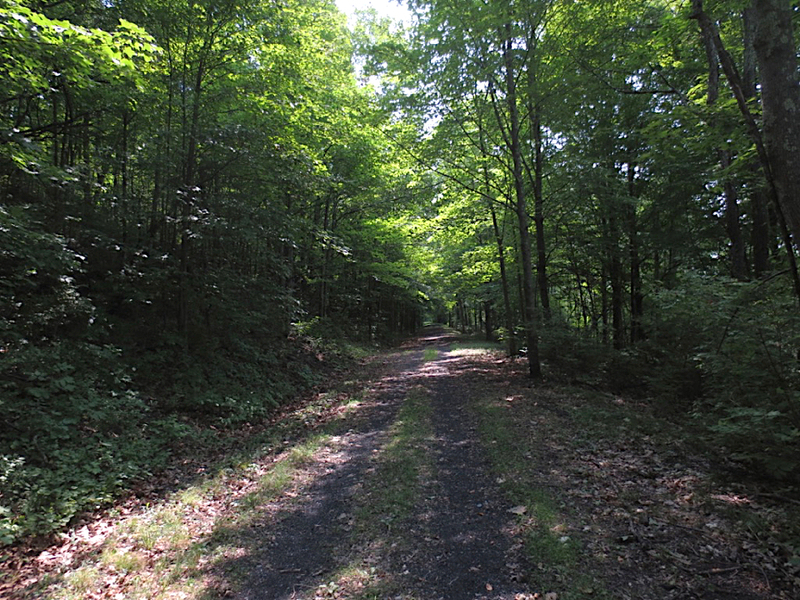 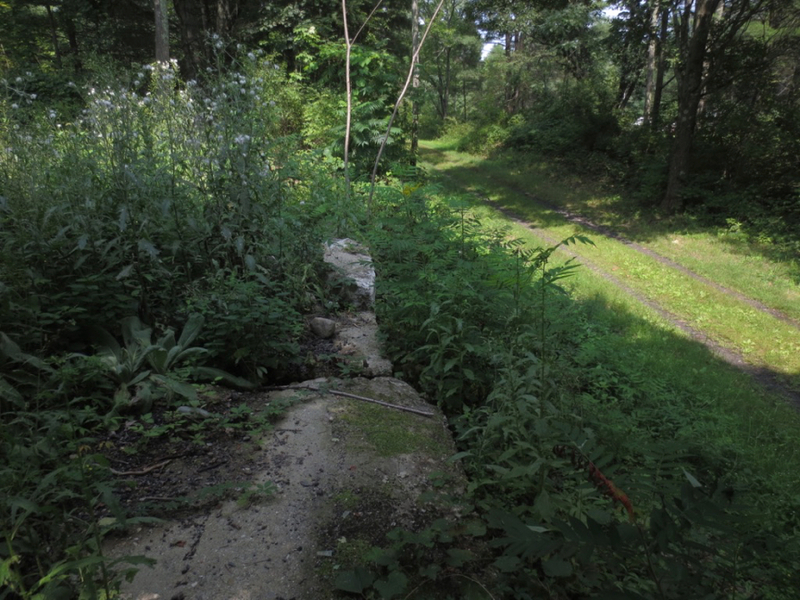 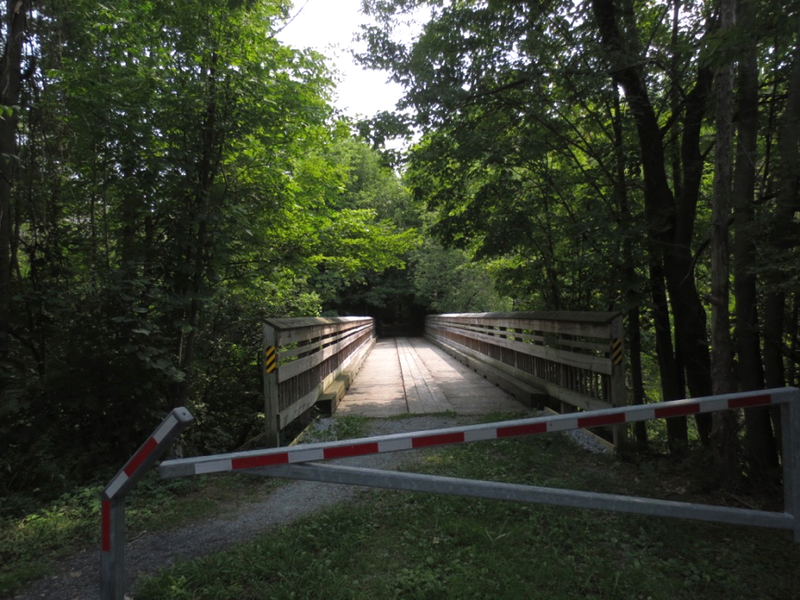 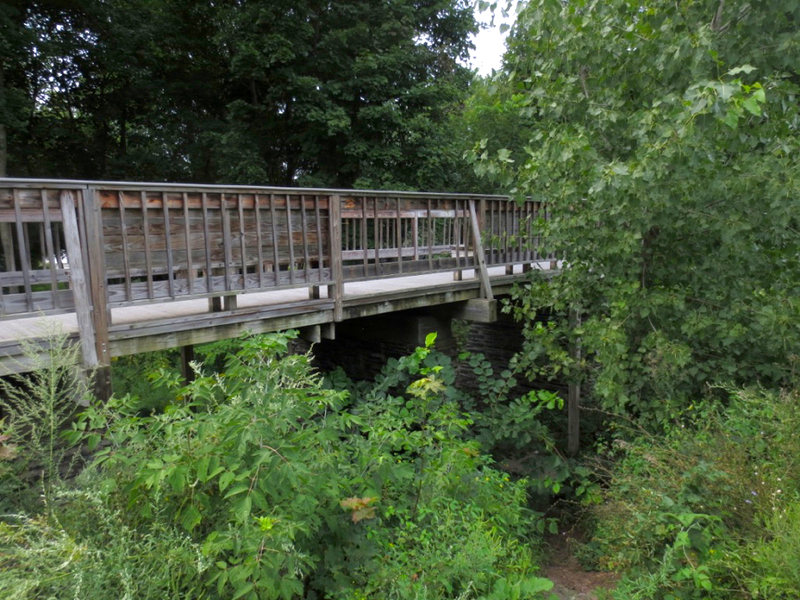 This trail follows the rail bed of the Rutland and Washington Railroad built in the 1850s. The line served the slate quarries that produced sheets of rock that were as roofing material. 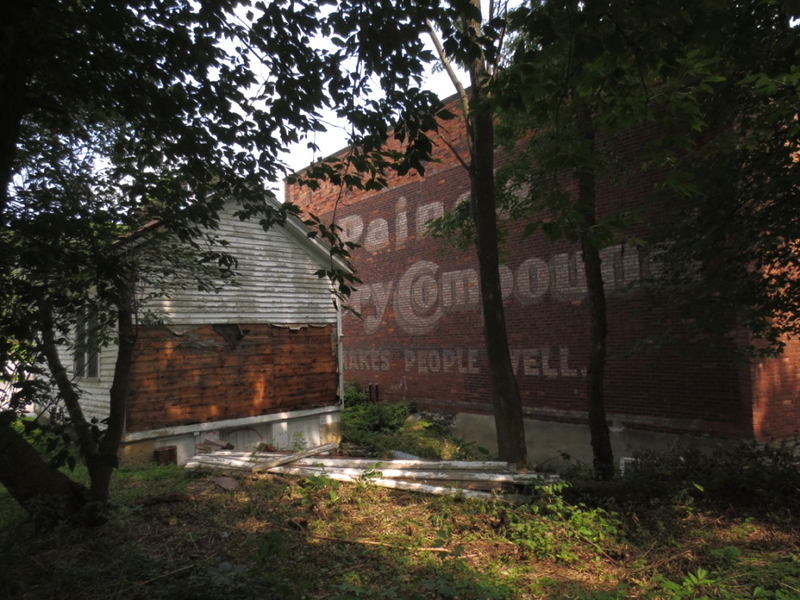 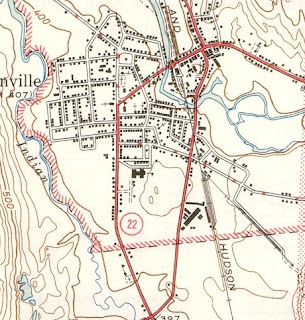 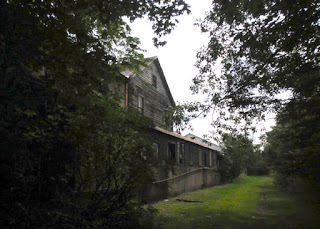 By 1871 foreclosures and mergers led to the Delaware & Hudson Railroad (D&H) leasing the line. 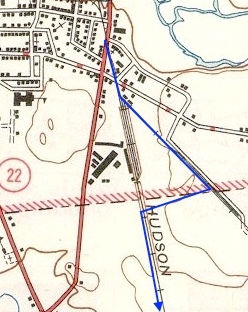 Improvements in highways and truck transportation led to the eventual demise of the line in 1983. 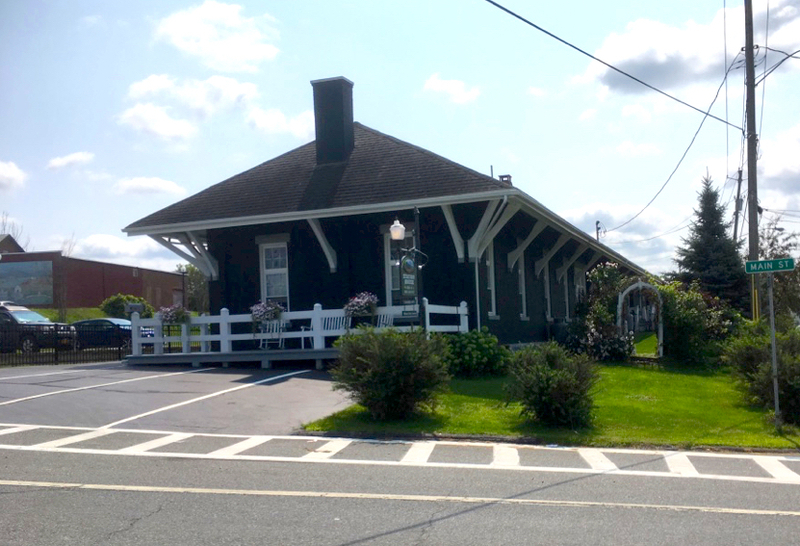 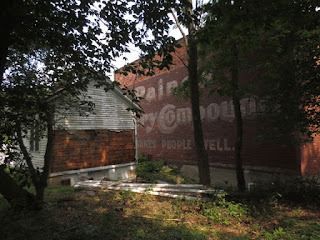 I started at the former Granville train depot which is now an elegant Bed and Breakfast. It was very hot and humid and the ride itself was super flat and scenic but kinda boring. 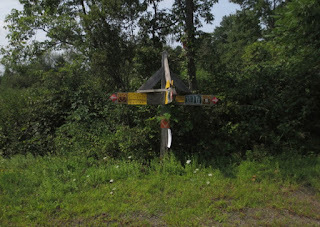 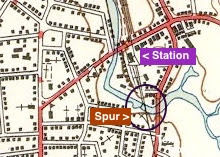 To the right of this sign post is where the tracks actually went (see map below). 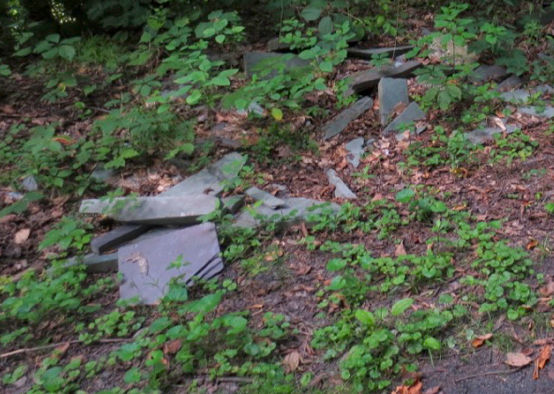 I found a spot of loose slate on the trail and I heard some really loud noises of presumably big trucks working the quarries up the hill to the east. 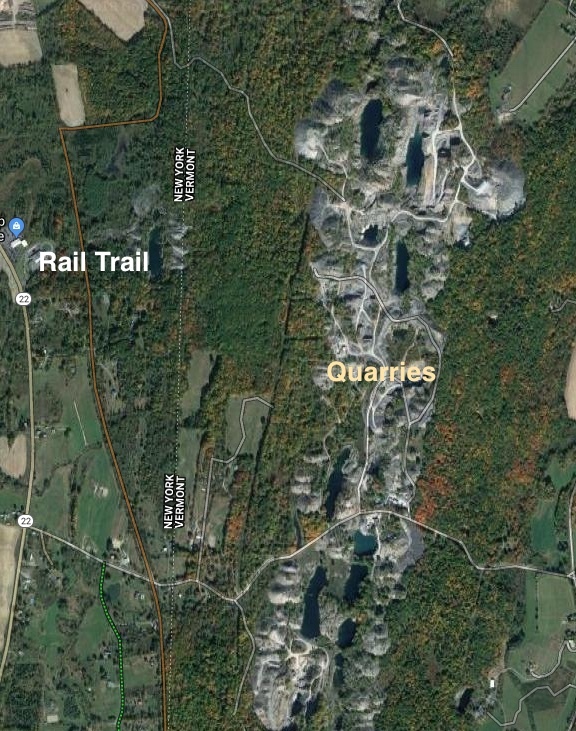 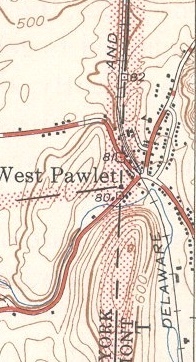 The Google Aerial view shows the long line of quarries that parallel the trail. Once at West Pawlet, I rode a bit further over the bridge and then turned around. 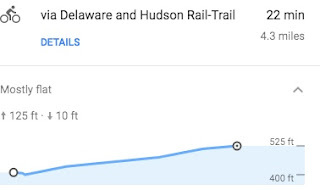 Kinda cool - need to return with my Mountain Bike!